There’s nothing like some hearty Mediterranean grub to lift the soul, and the good news is that Melbourne has it in spades. 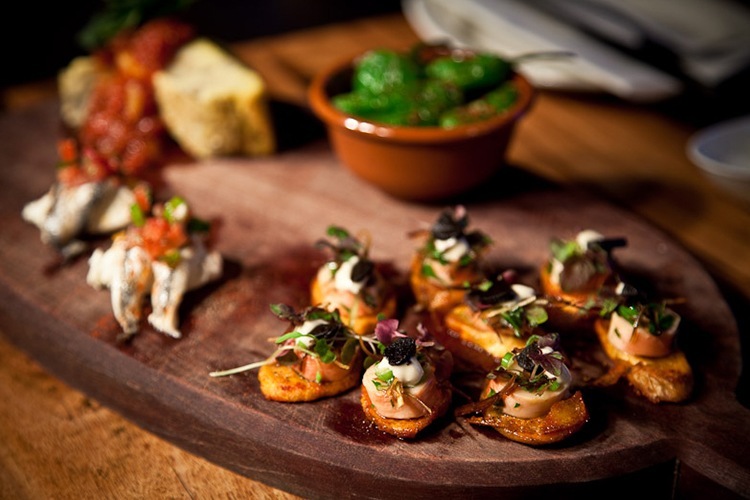 Here’s a taste of Melbourne’s finest to check out when a hankering takes hold. 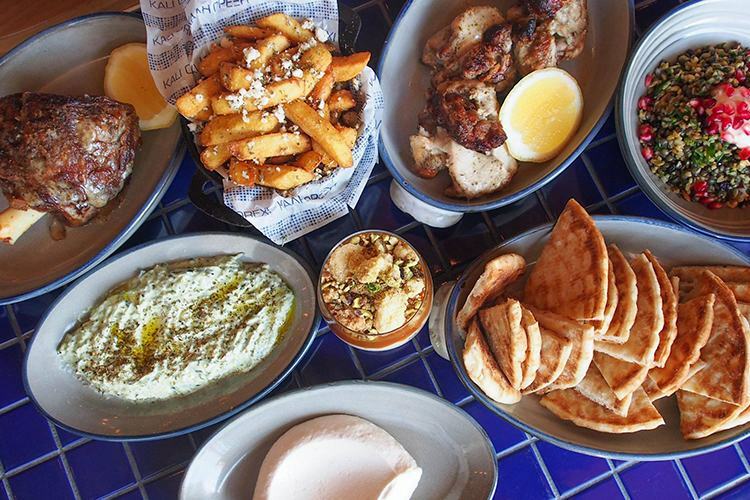 If we’re talking Greek in Melbourne, we’re usually talking George Calombaris’ Hellenic Republic. It’s the yummiest place in town, whipping up authentic dishes with a delightful dash of modern flair. The thatched ceiling speckled with lights is a beautiful touch, and the service is top notch. As for the menu, you can’t go past the lamb shoulder with wood roasted cabbage (straight out of the woodfire oven). Delectable. It’s nothing fancy to look at, but you should know by now not to let looks deceive you. Roxy Kebabs serves up some of the most delicious Turkish food in town, and it’s as close as you’ll get to the real thing ‘round these here parts. 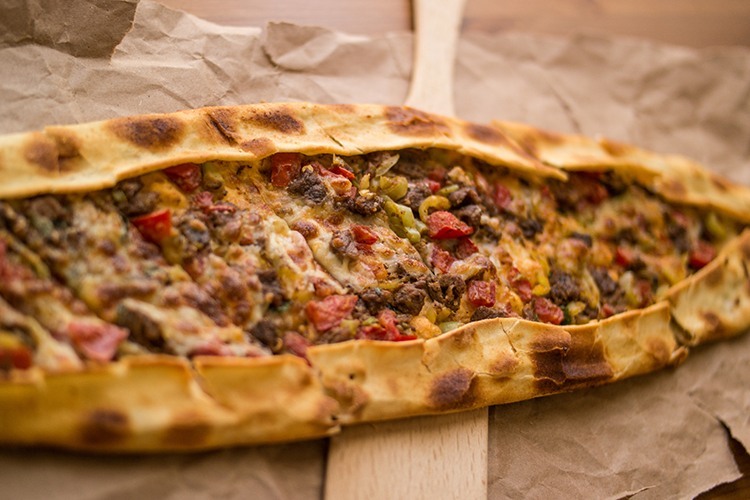 Try the Lahmacun, which is a kind of Turkish pizza with minced meat and vegetables, and wish the chef a hearty ellerine sağlık (“health to your hand”). Keep an eye out for a cute red doorway off Little Bourke Street, for behind it waits Portello Rosso! This friendly tapas joint is a haven of bold flavours and cosy style, with a vine-draped wine rack, an antique bicycle above the doorway, and a team of chefs who truly capture the Spanish flair. If you like seafood, we’d highly suggest the Paella de Mar. Prawns, fish, seasonal veg and herbs. Lovely! You could search for a million years and never find a more wonderful host than Abla Amad. 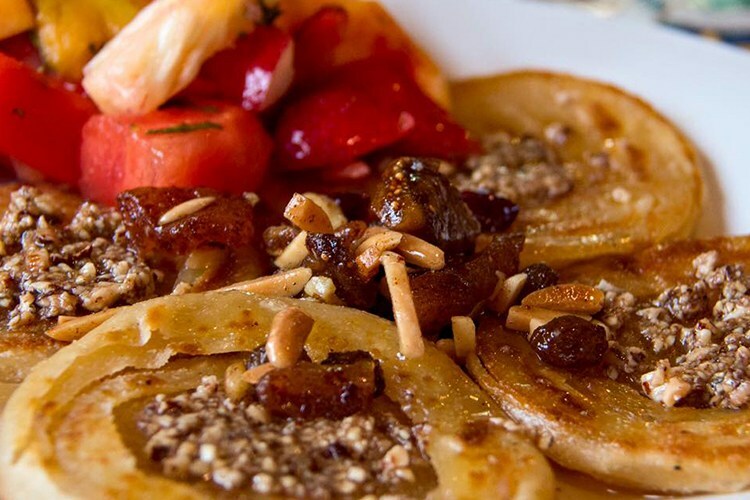 She brings the full force of Lebanon’s legendary hospitality to Melbourne, and you’re always guaranteed a special time when you visit her restaurant. The food is fresh, traditional and bursting with life, and the Kafta Mishwee (seasoned lamb skewers) is a must try. Make sure to say chokran (thank you)! 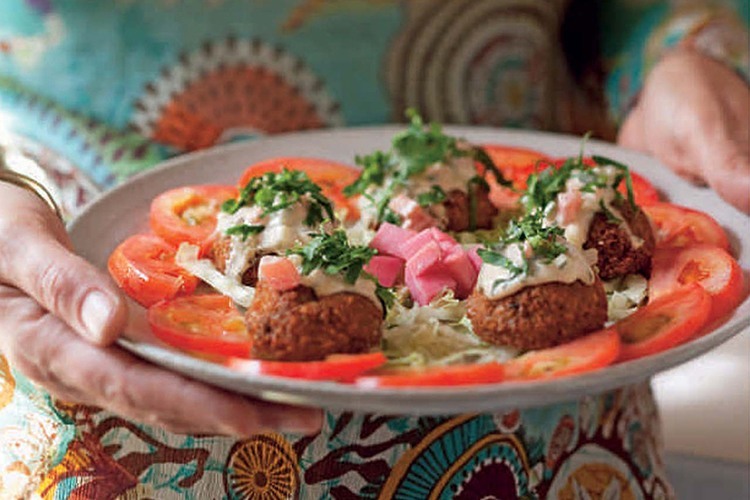 It’s not always easy to land a table at Moroccan Soup Bar, but it’s absolutely worth the wait. It’s stuffed with oil lamps, spices, vases, hookah pipes and mysterious jars, and you’ll love listening to the waitress enthusiastically describe the verbal menu. The vegetarian-only food is simply gorgeous, and everyone should experience their famous Chickpea Bake. Have you got your own favourite Mediterranean joint in Melbourne? Review it right here!